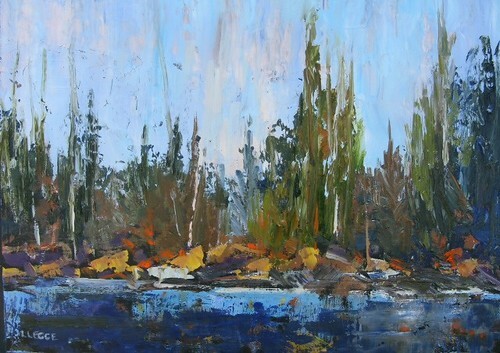 Lissi Legge, AFCA, SCA is a Calgary oil painter who uses vibrant colors and an impressionistic style. She is a residence of Elbow Park and this June experienced firsthand the power of water and strength of people working together under extreme conditions. “High Water” captures a more tranquil view of a landscape at the water’s edge.